Starting your own business can be an exciting and yet terrifying prospect! 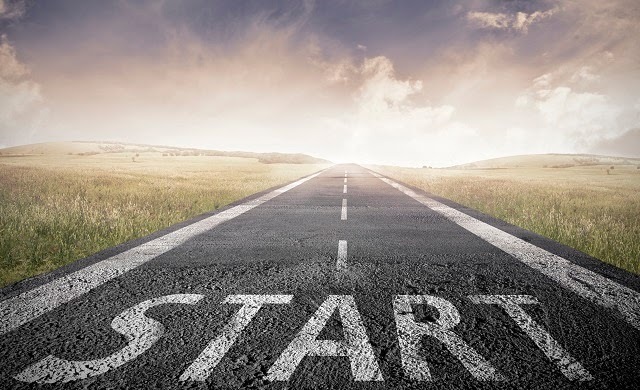 Here are 5 top tips for anyone who wants to start a business. According to various articles, the best way to help any business financially is to ensure a positive cash-flow. This means having a business plan where people pay for your products or services up front, giving you cash to pay your suppliers. Of course you can’t generate a positive cash flow immediately – you need money to start up a business. At present it can be difficult to acquire that all important bank loan, so more and more entrepreneurs are using credit cards to start their business. Before you take out a loan or credit card, use the ‘cheapest way to borrow’ tool on www.totalmoney.com – this tool allows you to enter how much you want to borrow and how long a period you want to pay it back, then it tells you which is the cheapest loan for you. Dependent on the business being set-up, you might be eligible for government funding when developing and testing business ideas. A great place to begin looking is the www.gov.uk website, to see which schemes you can apply for. If you’re aged 18-30, you could also get help from The Princes Trust. They offer low interest loans of up to £4,000, plus mentoring and training schemes. When applying for loans and funding, you’ll need a detailed business plan. Even if you’re not applying for funds, you should always write a business plan as it will lay everything out in a clear, logical way that you can look back to later to make sure everything is going to plan. You should be asking everyone and anyone for tips and advice, you’ll learn so much and you might even make the important contacts you need. Join the mailing list of StartUp Britain, an initiative that helps new businesses. Their website is also full of useful links, tips and resources. Starting a business in hard economic times actually makes perfect sense – there are less jobs out there and so why not try and make it on your own? There’s a wealth of information out there and even numerous funding opportunities, you just have to jump in at the deep end, with a quality idea, clear plan and list of goals you’d like to achieve. Get your business insured with us now, we have various business insurance options to suit both property owners and leaseholders and are confident we can meet all your insurance needs. Email us on: info@discountinsurance.co.uk for more information.